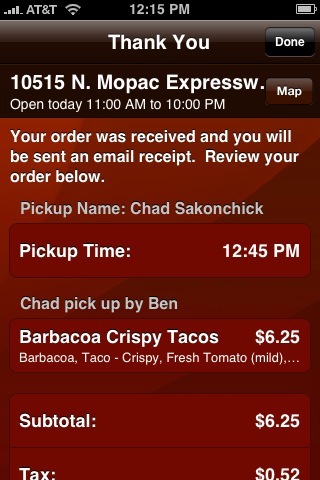 I love Chipolte’s iPhone app! I had to work through lunch today, so I asked one of my co-workers if he’d pick up some Chipotle while he was there. 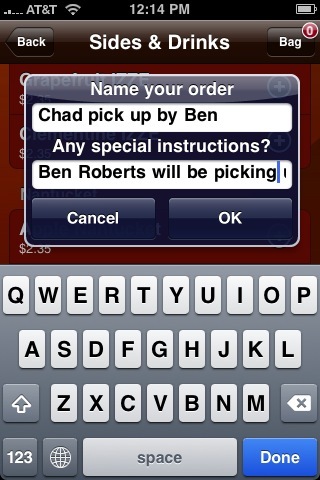 No need to give him money, I just ordered through the iPhone app and put instructions that Ben would be picking this up for me and voilà! This entry was posted in Uncategorized and tagged iphone app, review. Bookmark the permalink.